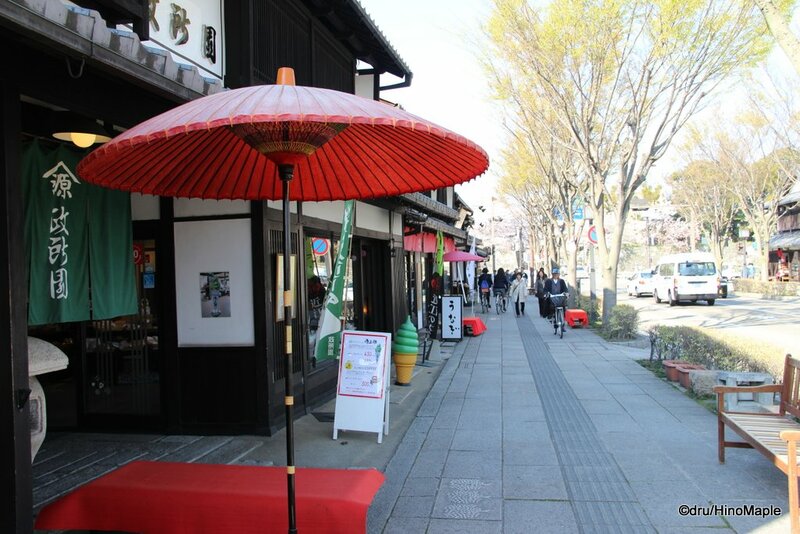 Shopping in Hikone is a small tourist adventure. 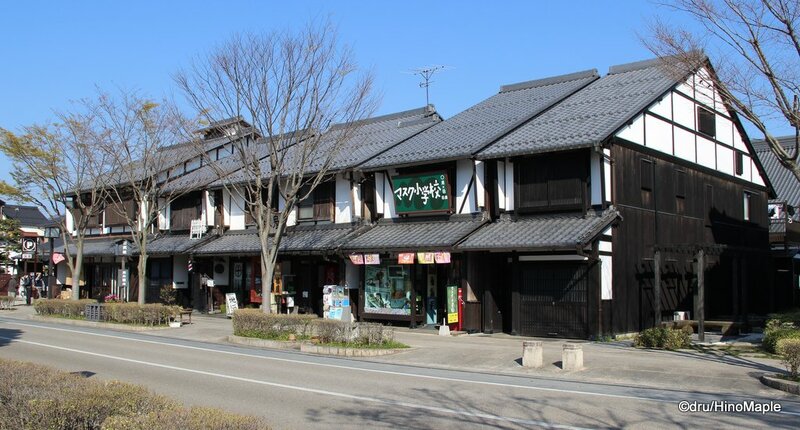 There really isn’t too much to see or do when it comes to the local areas but there are two shopping streets next to Hikone Castle. The main tourist street is Yume Kyobashi Castle Road, also branded as Old New Town. There is also an area called “Yon-ban Machi Square” which is officially part of Yume Kyobashi Castle Road but I consider it a bit different as the entire look and feel is very different. The name Old New Town is mainly to talk about how Yume Kyobashi Castle Road is full of Edo era buildings that have been completely refurbished so that the exteriors and interiors are very new but retain the look of the original buildings. 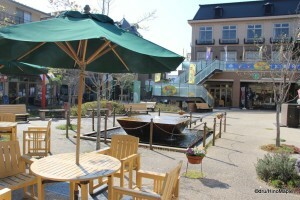 The end of the street is where Yonban Machi Square is located and this is the new area. It is built to look more European but I wouldn’t say it fits with the look and feel of the area. It seems out of place but considering they are trying to sell local items, it does fit in that respect. To get to Yume Kyobashi Castle Road, you have to exit the Hikone Castle area on the south side of the main road. It isn’t hard to find Yume Kyobashi Castle Road but if you don’t know where to go it can be a bit confusing. If you are heading from the station, once you get to the entrance of Hikone Castle, just keep going. Follow the main road to the left and through the outer wall and you’ll be able to cross the moat and be right at the shopping district. All of the buildings are nice and old with white walls and black trim and roofs. It was nice to walk down the street and some of the shops were interesting. I enjoyed looking at the local shops and wanted to help support the local community. Some of the shops didn’t feel local but most of them did. Unfortunately nothing really screamed at me and the liquor shop had a nice selection of sake but I couldn’t buy any. I was also going to Ise and I had planned to buy a lot of beer in Ise so trying to carry another bottle of sake from Hikone would not have been possible. Yonban Machi Square is a very strange area of Yume Kyobashi Castle Road. You can consider it the “new” in Old New Town. 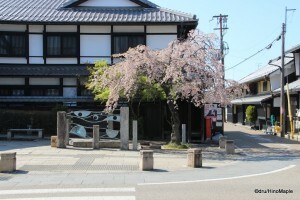 The entrance to the square is right off Yume Kyobobashi Castle Road but the square itself is hard to navigate in an efficient method. The different streets shoot off in different directions making it necessary to head in one direction and then return to the central area. I ended up just looking at some areas before returning to Hikone Station. 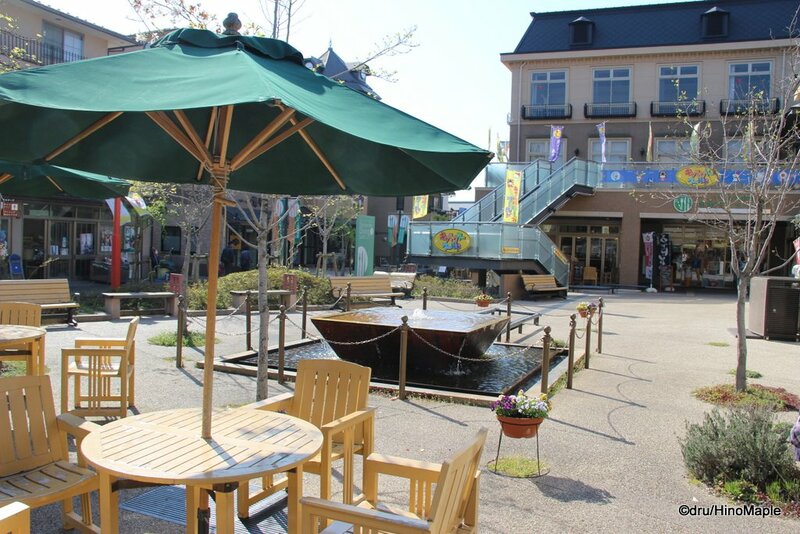 Yonban Machi Square is nice enough to visit and they do have a nice souvenir shop but it felt too commercial. The shops were not as interesting and they seem to need a little work to be open longer. Most of the shops along the main street probably make more money but on the weekends I’m sure this square also has a lot of people visiting. Yume Kyobashi Castle Road is not something you HAVE to visit, but it is something you should see. I have seen a lot in Japan and have seen similar roads. The character of Yume Kyobashi is very nice and the shops seem family oriented enough that I had no problem supporting them if there was something I wanted to buy. I also feel that it is a little too new. It seems as if a little of the character is missing as it appears to have gone too new, or perfect, in its renovations. Sometimes new things have no character and old things have all of the character. The name Old New Town seems to really put a real emphasis on this problem. Thankfully many other people won’t feel the same way and I hope if you visit Yume Kyobashi Castle Road you won’t agree with me. I hope that I am correct in that many of the shops are family run and that if you visit this street that you help them out by buying something. When possible, I try to find the shop with something unique and also the shop with just a single old man or a few old people working there. Some of the shops are like this and it really helps them out. 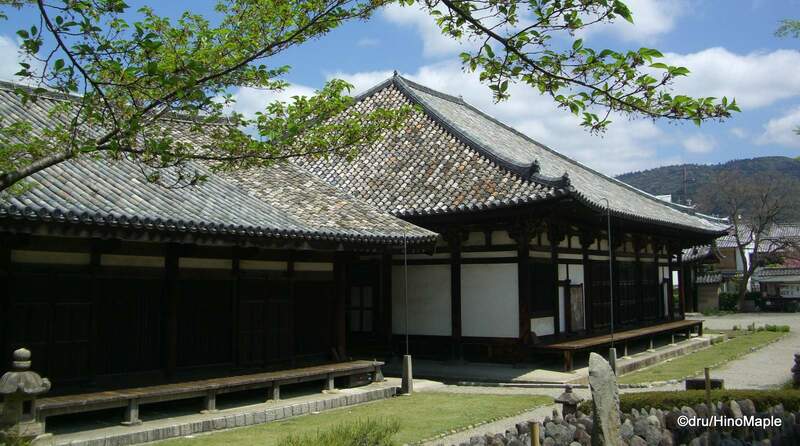 This entry was posted in Kansai and tagged Edo, edo era, japan, Kikone, Kyobashi, Old New Town, Shiga, Yonban Machi Square, Yume, Yume Kyobashi Castle Road, Yume Kyobashi Road by Dru. Bookmark the permalink. It was like Kurashiki, but Kurashiki had more going on. This was more of an afterthought for the area. The place was pretty deserted. It wasn’t all like that but most of the foreign buses seemed to go to the castle then leave. Plus I was there on a weekday in the afternoon, probably not a busy time. I did have to wait a couple times to get empty shots though.